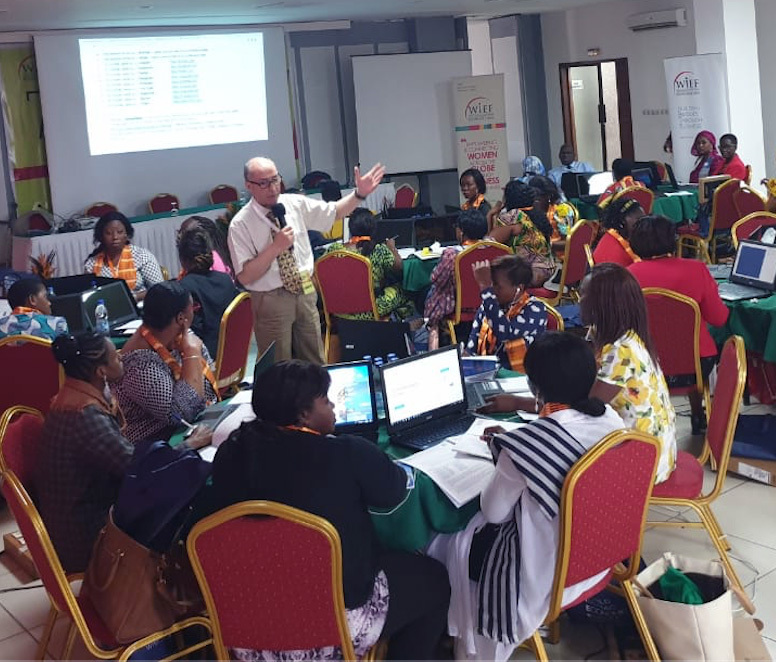 Abidjan, Cote d’Ivoire, April 15, 2019 : Within the framework of their joint programme of assistance to OIC countries, WIEF Businesswomen Network (WBN), the Islamic Center for Development of Trade (ICDT) and Côte d’Ivoire Ministry of Trade, Industry and Promotions of SMEs are co-organising the 7th WIEF Regional Online Marketing Workshop in Abidjan from 15th to 18th April 2019. The workshop is designed to assist women entrepreneurs to expand their businesses online. It will bring together over 30 women entrepreneurs from micro, small and medium-sized enterprises in Côte d’Ivoire. Entrepreneurs can benefit from this workshop by learning ways to grow their businesses in a creative and innovative way. The current technological era drives a new phase of globalisation. It is important for entrepreneurs to improve their skills and knowledge in meeting the challenges as well as opportunities of this new digital economy. WBN is an initiative of the World Islamic Economic Forum (WIEF) Foundation. It has the objective to unleash women’s potential through economic activities. Since 2012, WBN has conducted a series of Online Marketing Workshop and built a network of women entrepreneurs from all over the world. WBN offers women a platform to gain essential knowledge and skills to harness the power of digital commerce. Online marketing is one of the most affordable and effective ways to promote products as well as services compared to traditional marketing. With the right strategy and knowledge, online marketing enables businesses a wider outreach. Online marketing has many benefits and has become one of the most popular tools for businesses to be ahead of their competition. During the Workshop, participants will familiarise with the following key areas: web presence and website development; internet marketing and search engine optimisation techniques; social media marketing tools and strategies; online business productivity tools; online monitoring tools. ICDT has co-organised with WBN similar workshops in Morocco in February 2014, Jordan in April 2016 and Guinea in April 2017. Nearly 300 women entrepreneurs from more than 20 OIC countries have already benefited from the workshops. According to Roland Berger report, African women is unique as they end up creating a different form of innovation: they demonstrate creativity by crating their own job and trying to bring solution to complex, unaddressed issues. Through their activities, they contribute to the continent’s development and prove Africa’s potential for innovation. The WIEF Foundation, a not-for-profit organisation based in Kuala Lumpur, organises the annual World Islamic Economic Forum, a world-class business platform showcasing business opportunities in the Muslim world, and runs programmes of the various initiatives of the Foundation that strengthen people partnership and knowledge exchange between Muslim and non-Muslim communities across the globe. The WIEF has previously held forums in Malaysia, Kazakhstan, Indonesia, Kuwait, Pakistan, the United Kingdom and United Arab Emirates and aims to bring together Muslim and non-Muslim communities through the common language of business. For more information on the WIEF Foundation, please visit www.wief.org.